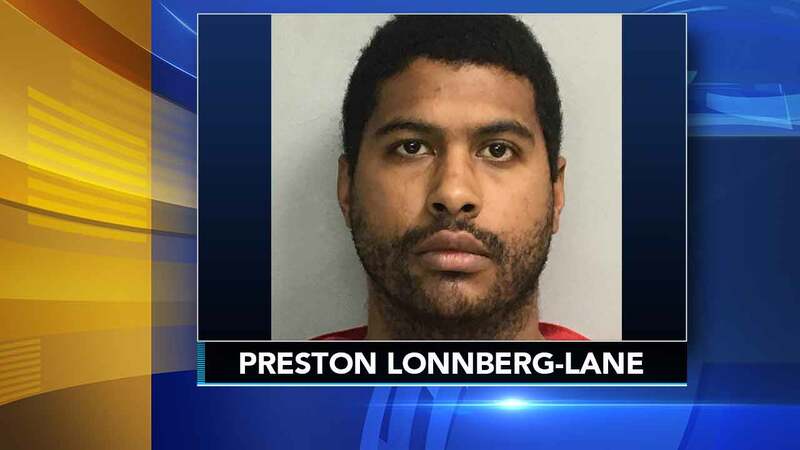 LANSDALE, Pa. (WPVI) -- A Montgomery County man who police say attacked his sleeping father with a butter knife inside their Lansdale home has been arrested for murder. Authorities have charged 30-year-old Preston Lonnberg-Lane with first-degree murder, third-degree murder, and possessing an instrument of crime. Police say they received a call from Lonnberg-Lane at 4:44 a.m. on March 27 saying help was needed at his home in the 1100 block of Delaware Avenue. Lansdale police responded to find the victim, 74-year-old Thomas Lane, semi-conscious in the bedroom with a traumatic eye injury and apparent stab wounds to his head, neck, and arm. Lane was flown to Jefferson University Hospital in critical condition. He died of his injuries two days later. Police say an investigation found that Lonnberg-Lane had attacked his father with a butter knife. Montgomery County District Attorney Kevin Steele said in a statement, "This father was asleep in his bedroom and was savagely attacked by his son. Now the man is dead and the son is behind bars." An autopsy was performed on Lane's body. The cause of death was determined to be hyperextensive brain hemorrhage and the manner of death was homicide, according to the Montgomery County Coroner's Office. The coroner also found evidence of strangulation and wounds to the head, neck, and face. Lonnberg-Lane was arraigned and taken to the Montgomery County Correctional Facility. Bail is not available for first-degree murder charges.